Metropolitan Magistrate, Gomati Manocha has filed charges against AAP leader and Former Chief Minister of New Delhi, Arvind Kejrival, in the defamation charges brought about by BJP leader Nitin Gadkari. The charges were framed under Section 499 and 500 of the Indian Penal Code. Manocha had extended Kejrival’s judicial custody on May 23, on his refusal to furnish Rs.10, 000 personal bond for his release. However, Kejrival furnished the bond on May 27 and obtained bail on the advice of the High Court. The high court had asked Kejrival to furnish the personal bond and continue with his writ petition which challenges the practice of sending those people to judicial custody who don’t furnish a bail bond or a personal bond but appear before the court. The Delhi high court petition has been listed for 31 July. Gadkari, represented by his lawyer, Anil Soni, reportedly was ready to resolve the issue and arrive at an amicable solution, as also proposed by the Court. "Any defamation is a big blot for me. If he has proof, he should show. He has leveled wrong allegations against me. Either he proves his charges, or withdraws,'' Mr Gadkari added. The judge went to the extent of saying that the politicians should spend their time in a better manner. However, Kejrival refused to withdraw his statement. Gadkari was also asked to tender an affidavit and present his case three days before the next hearing. The court, however, accepted Kejrival’s plea, seeking exemption from personal appearance. Kejrival was accused by Cabinet Minister, Nitin Gadkari for including his name in the party’s list of “India’s most corrupt” people, in January. Gadkari reportedly told the court that Kejrival’s "false, baseless, scandalous, defamatory statements" had lowered his dignity. After the court framed the notice, Kejrival pleaded not guilty of the offence and demanded trial. The Court therefore ordered charges to be framed and posted the matter for recording the evidence of Gadkari and his witnesses on August 3. 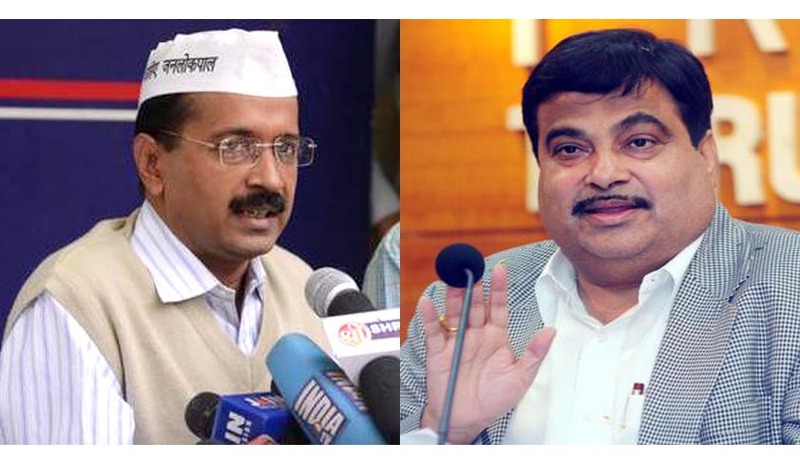 Legal News India, Kejriwal defamation Case, Indian Legal News, Kejriwal vs Gadkari.